The human mind holds the keys to our unique motivations, desires, personalities, and everything that makes us who we are. What people think and feel drives their behavior and, in turn, has driven all of human history. Those who wish to better understand the complexities of the human mind can do so by immersing themselves in the fascinating field of psychology. Psychology is the scientific study of behavior and the mental processes that determine behavior. It uses rigorous methods of research to study feelings, thoughts, and conscious and subconscious phenomena and their influence on behavior. It also studies the behavioral effects of physical conditions, including brain chemistry, anatomy, abnormalities and ailments. Psychologists then apply the accumulated knowledge of this science to solve practical problems. 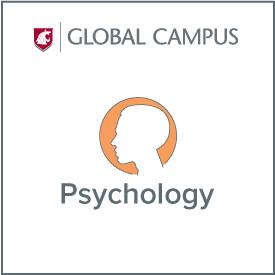 WSU’s psychology bachelor’s program, offered fully online, is designed to give you a comprehensive understanding of psychological principles and the field’s use of the scientific methods. The ability to systematically identify and solve human problems is crucial skill in all workplaces and life situations. 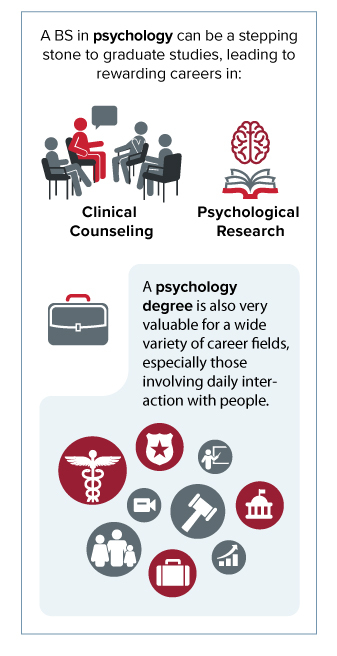 A psychology degree is an excellent stepping stone to graduate work in psychology, but also provides you with invaluable skills for a wide variety of career fields, including health care, social work, law, research and development, business, management, sales, marketing and administration. 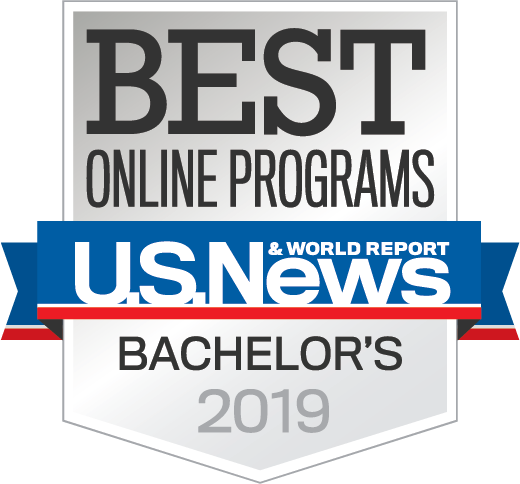 WSU’s psychology program, delivered online, has been consistently ranked in the top 25 online programs in the nation. The program’s renowned faculty are passionate about engaging with online students and providing them with a holistic educational experience tailored for the fully-online format. Online students can gain valuable experience through conducting undergraduate research and acting as a tutor, grading teacher’s assistant or instructional teacher’s assistant. Online psychology students have access to a wide variety of great resources and networking opportunities, including the Online Psychology Student’s Resource Room, the Global Campus Chapter of WSU’s Psychology Club, and Psi Chi, the Psychology National Honor Society. Many online Psychology courses currently utilize Open Education Resources (OER), free online academic materials used in place of hard copy books. This can greatly reduce student costs while attending WSU. The program is working toward transitioning all online Psychology course requirements into using OER materials. Students must also fulfill the College of Arts and Sciences graduation requirements and the program requirements of the degree. Time to degree completion varies depending on semester of enrollment and course availability. Not all courses are available all semesters. Your academic advisor will help map out the best plan for you. The major requires 35 credits in psychology course work, at least 15 of which must be from 300-400 level courses. Students must take at least 10 credits of Psychology at WSU and must maintain at least a C average in Psychology courses. Students must also take BIOLOGY 102: General Biology, or transfer in an approved general biology course. Any course listed above, or a transfer course with a PSYCH prefix. Students must complete the Junior Writing Portfolio, and two Writing in the Major courses. For online students, the Writing in the Major requirement will be fulfilled with Psych 312 (required), and choose one course from PSYCH 328, 401, 412, or 440.